We visited Keith of Keith's Wheatgrass at the Takapuna market this morning. First and foremost - he is fabulous! He knows a truckload about the product - how to grow it, how to consume it, benefits for the skin when you use it topically, cleaning the juicer, you name it! 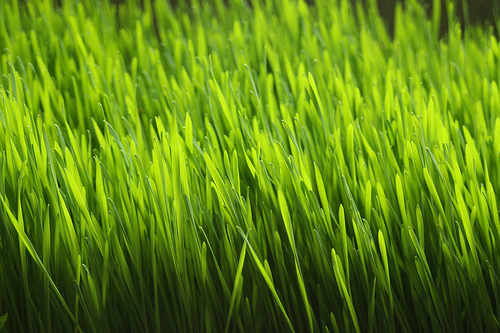 He's also incredibly friendly and easy to talk to, so if you have any questions about wheatgrass I'd encourage you to pop along (it's a great market too!) and have a chat with him. I ended up deciding to just buy a tray of wheatgrass and a juicer from him for $100. Usually it would be $90 for the juicer and $15 for the grown tray of WG, if bought seperately. If I take my empty tray back next time, I'll get my next tray for $12. I may yet decide to grow my own, but thought I'd start this way for now. 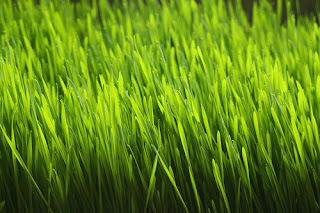 I didn't realise that you do get a 2nd growth on the wheatgrass, however it should be noted that this typically has only 50% the nutrients of the first growth. And apparently once it starts getting a bit long and flopping over, you can harvest it all and place it in the fridge, ready for juicing. I think I'd prefer to cut, juice, drink on demand, but again, I'll see how I get on. Note that Naturally Organic in Albany does sell Keith's trays of wheatgrass as well ($17), as does Wise Cicada in Newmarket.